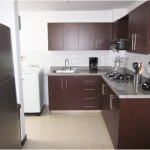 Park Place is a brand new 3 bedroom, 3 bathroom apartment. 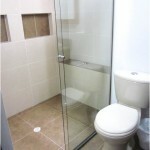 Park Place is fully furnished, with modern showers and bathrooms (both are serviced with proper gas hot water). 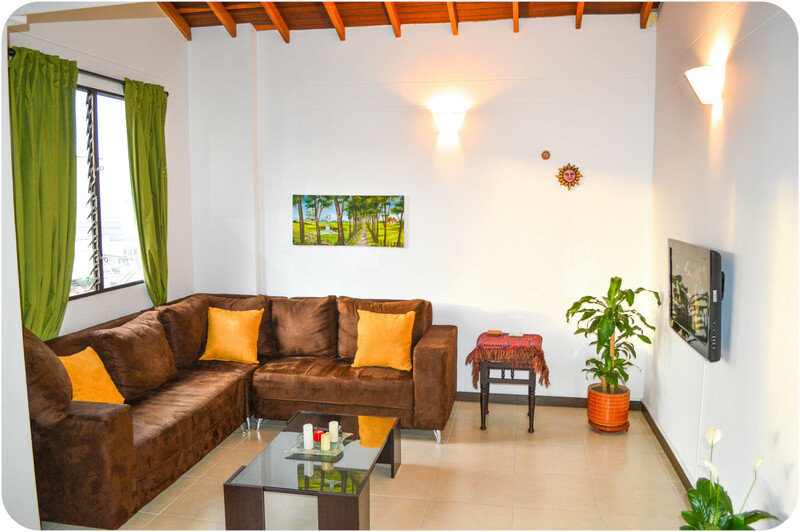 The kitchen is fully equipped, with a large fridge, coffee maker, juicer, quality Teflon pots and pans, everything you need to cook is included. The apartment is located in a very secure complex on the top level with some nice views from the balcony. 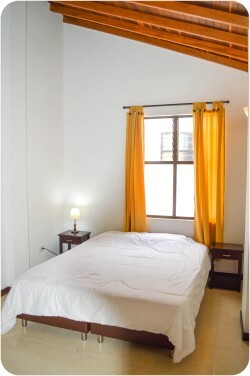 Park Place is setup for shared living and each room is individually rented with minimum stays of 1 month. If you’re interested in renting out the entire apartment then this option is also available, however, please contact us for more information on this matter. 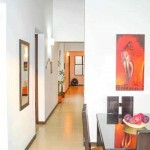 Located in a great central location, the apartment is only a block from Parque Envigado. It’s surrounded by a plethora of supermarkets, restaurants, banks, markets, clothes shops, bakeries, cafes, chemists, medical clinics, gyms and close to public transport. If you enjoy living amongst the hustle and bustle and love the buzz of a small city, then this is the place to be. 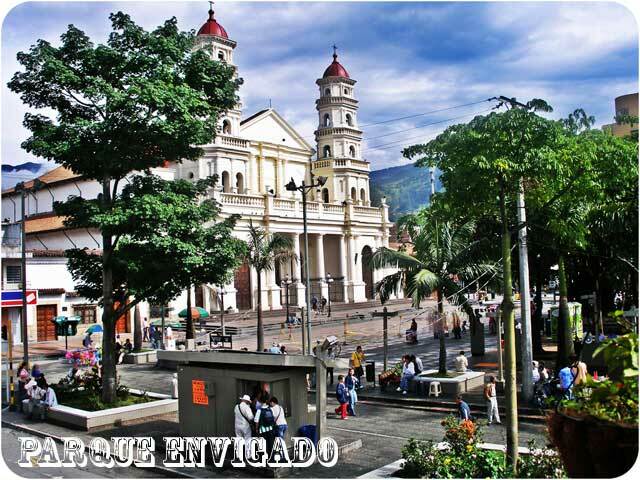 Central Envigado is an independent city of Medellin, it has a beautiful town square and impressive church, both of which are surrounded by streets of shops and restaurants. 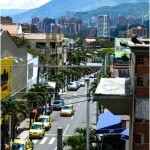 Although Envigado is its own city, it feels more of a suburb of Medellin, as it’s only 15 min away from the touristic areas of Poblado and Parque Lleras. Between the two locations, is a stream of apartments and shopping malls that morph the two distinctly different areas into one. 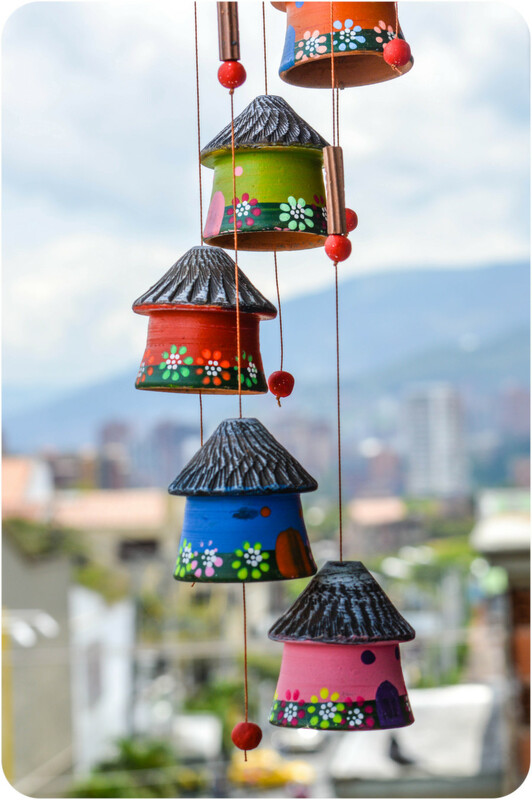 If you’re after a more authentic Colombian living experience, we highly recommend you check out Envigado and it’s barrios. It has a small but growing expat community for many reasons, in particular the great living conditions and proximity to everything you need, its cleanliness and safety, its friendly population and more importantly it’s less expensive eating and living costs compared to say Poblado. 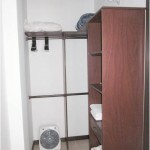 A comfy room with a brand new full size bed, TV on the wall, great closet space and a detached private bathroom with a walk in shower. Linen and towels included. A master sweet with vaulted ceilings, queen size bed, TV on the wall, walk in closet, private bathroom with a walk in shower. Linen and towels included. Another master sweet with vaulted ceilings, queen size bed, TV on the wall, walk in closet, private bathroom with a walk in shower. Linen and towels included. The living space is perfect for a cup of joe on the balcony, watch some TV in the first living room, eat or work from the dinning table, and kick back and read a book in the second living room. Check out the photos below for more details. Thanks for stopping by Arthousemedellin.com! If you have stayed at Park Place and would like to tell people about your experience. 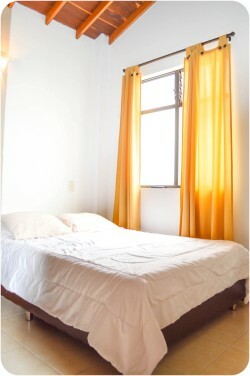 Park Place is a briliant place to stay and in the best area of Medellin. 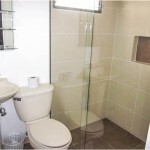 It is clean, modern and with everthing you could want to live a comfortable life. Whether you are studying, wanting to run a remote business or just enjoy the city it will suit your needs. The location only makes things better. It is just 1 block from Envigado park and right next to every amenity you could want but still fairly quiet at the same time. On top of this Todd and Veronica who run the place will be able to help you out with anything you need. Hope you are well in Brazil and thanks for your kind comments, hope to see you back in Medellin soon. Fueron muy amables desde el principio. 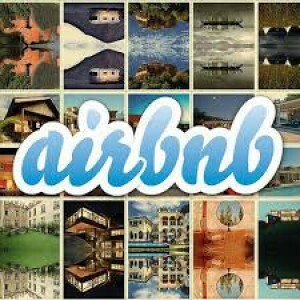 En el correo recibimos todas las recomendaciones e informaciones sobre el lugar. 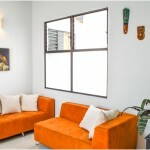 La casa se encuentra en un lugar muy lindo y estratégico, y tiene todos los servicios que se necesitan. Es muy fácil quererse quedar… y es lo que nos pasó! I would highly recommend a stay at this apartment. Surprisingly the biggest highlight was the location. Located on a busy street with tons of eateries and bars nearby, this spot had all that you needed. The kitchen was well equipped, the bedroom and personal bathroom a nice size, and the dining room/living room afforded you a got spot to hangout throughout the day. My recommendation is to grab a couple drinks and few empanadas and sit out in the square and people watch in the evening. 20 minute walk to the metro and a $8000 peso cab ride to Poblado. Definitely a good spot to stay. Wonderful hosts who will make your stay in the park place a real pleasure. 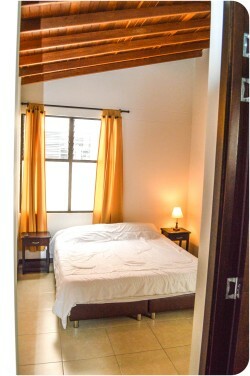 The apartment is spacious and clean and very well located. 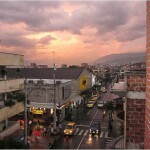 Envigado is in my opinion one of the nicest place to live in Medellin. 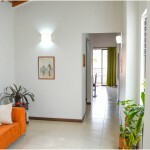 House was in good shape and well organized, amazing location, just a few short blocks from Envigado plaza. Stayed in January 2014 and highly recommend it. Great part of town. Safe friendly and bustling with life. 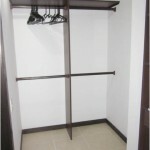 The apartment was clean, well equipped , and ideal for my stay. Thanks very much guys would stay again. Highly recommended. Stayed November 2013. Enjoyed my stay immensely! 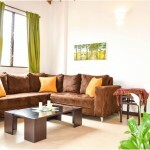 The apartment was clean, modern and well maintained (with a maid once a week!). Compared with the cost of a comparable hotel, this place was a real bargain. Stayed December 2012.